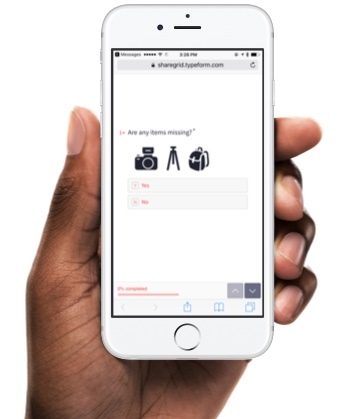 Learn how to use our digital checksheets when you pick up and drop off gear. Looking for an equipment checklist? Start here. Renters and owners on ShareGrid use paperless checksheets (aka 'equipment checklists') to record the condition of rented equipment before and after each rental. Do I need to use them? Yes. That way, everyone is clear on the condition of the gear, and if there’s any issue during the rental, we can help resolve things more quickly. 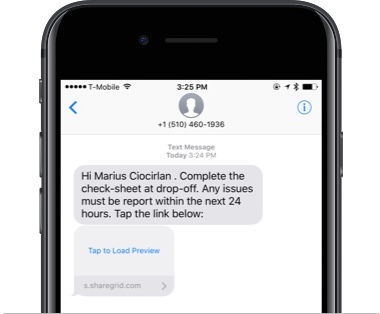 You will receive a link on the day of pick-up via email and text message. Complete it with the owner at the pick-up location. You will receive a link the day of drop-off via email and text message. Complete it with the renter at the return location. Make sure you test the gear thoroughly and note any missing items or damage. Use this link to download printable checksheets (link downloads a ZIP file).